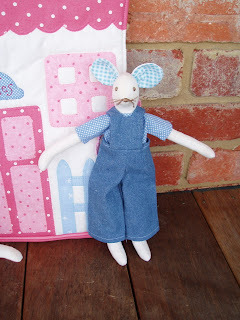 I thought I'd participate again in 'Monday's Show & Tell' that Sandy from Cookies & Cream Craft has on her blog every Monday. 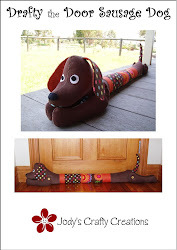 This is a Christmas present I made for my kids and finished it only just in time for Christmas. 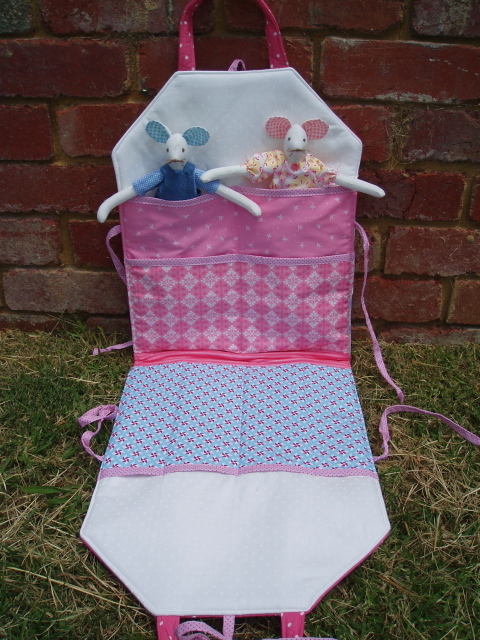 I spent several nights sewing until midnight to get it finished for them - as I had to do it all in secret. You may have seen these on a previous post as my Friday night sew in - well - now here they are finally finished, along with their family home. 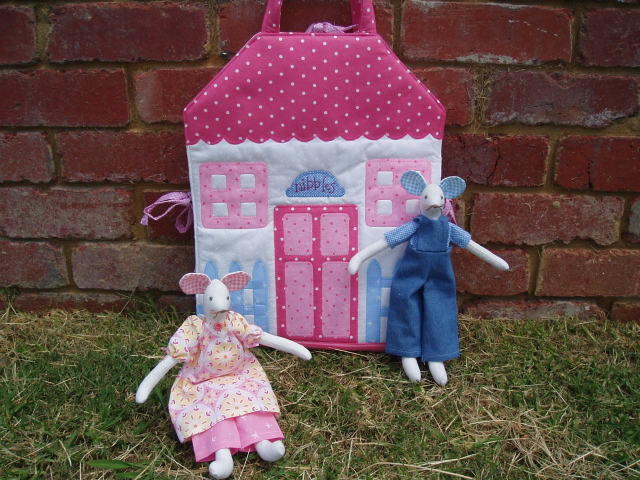 Introducing Mr & Mrs Nibbles and their family home which doubles as a carry all bag with pockets inside to fit them into. 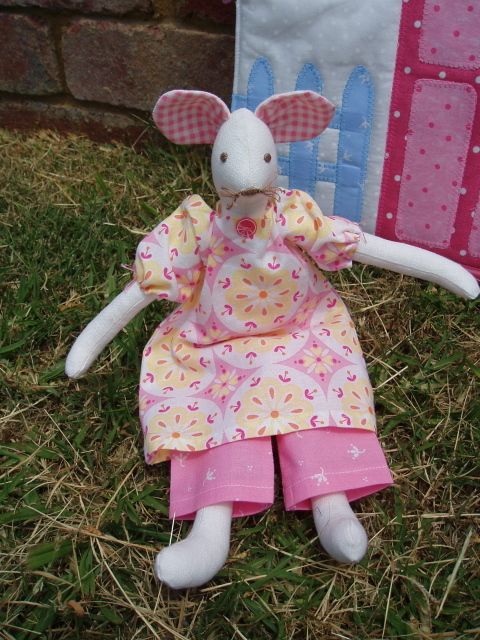 The pattern is from the last two issues of Homespun magazine and is a Rosalie Quinlan design. They were fun to make and the kids were very happy to get them for Christmas. Add your link to Sandy's blog and join in Monday night's Show & Tell. It's nice to see what everyone else has been doing. Hey, thanks, Jody for joining in my Monday's Show and Tell. 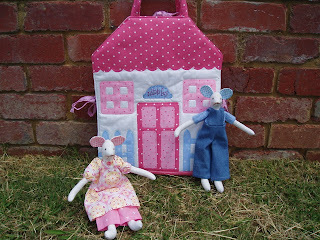 Aren't Mr & Mrs Nibbles just too cute, and their little home too. Your children are very lucky! Have a great week, Jody. 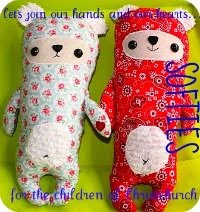 Jody, WOW they look great you have made me want to make some now i have the first book with the Nibbles Family-Part one in it will have to ring my sister in law to see if she can get her hands on part 2 for me. Yours are just great i bet the kids just loved them. de que numero de homespun son ?? ?